Preserve Your Family History. Your Family Memories Video will be enjoyed in your family’s living room for generations! Transfer 8mm Film to DVD Today! Don’t let the effects of time degrade your home movies further. 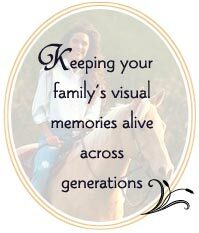 Family Memories Video provides a full range of services to convert your family’s visual history to videotape and DVD. We are your photo to video transfer experts! All of our custom family video productions make heartwarming gifts for friends and family. They are great video tributes to a guest of honor for projection or display at parties or gatherings such as: Birthdays, Anniversaries, Bar/Bat Mitzvahs, Weddings, Funerals, Memorial Services, Graduations, Reunions and other work related events. Family Memories Video also specializes in video interviews and other custom video creations such as Family Member Biographies and Mitzvahs and Tribute Videos. Preferred Vendor in the San Jose, California Videographers Directory at Marketingtool.com. He fears as technology moves on, family memories are at risk of being lost. Humble home movies, languishing unedited, can have DVD production values, for a price.